I always put together a Muppet Christmas display. 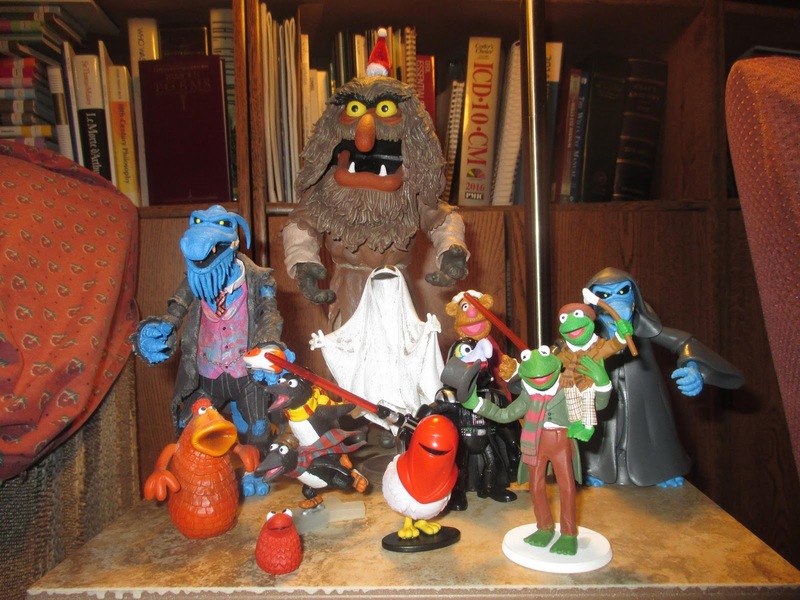 It starts out with the Palisades Christmas Carol Muppet figures, anyway, and then the Star Wars Muppet figures from Walt Disney World join in, and it gets steadily more ridiculous as I think of more things to add. This year features two Uncle Deadlys (one of whom is holding a tiny guinea pig), action figures in three different scales, a tiny Santa hat on Sweetum's head, Koozebanian aliens, a ghost, and there will probably be more added.